Davide Cerreta is a 25-year-old jazz singer and pianist who has already played at different jazz clubs and festivals such as B-Flat (Berlin, Germany), Umbria Jazz Winter (Orvieto, Italy), and many more in countries like France, Germany, Italy, Peru, Chile, Argentina, Brazil, and the Caribbean Islands. Davide was born in Rome in 1993 and first approached music at the age of nine. Emulating his big idols B.B. King and Eric Clapton, he started to play the piano and later also the guitar. Only a few years later, he started to listen to jazz music. It all started with Frank Sinatra’s album “Songs For Swingin’ Lovers”: Sinatra’s smooth, warm, and passioned voice left a mark on his heart forever. After his parents’ divorce, Davide and his younger brother moved to Avellino, a small town in the south of Italy, with their father. 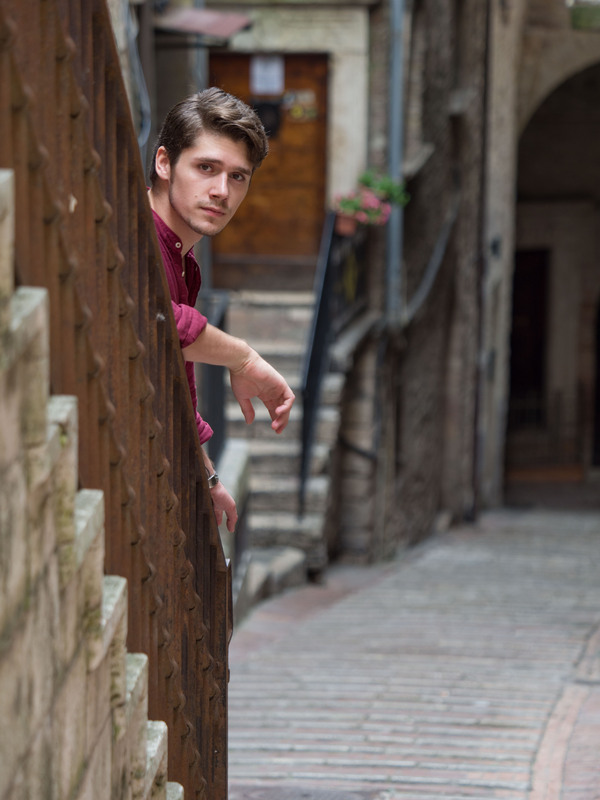 Here, Davide started to take vocal lessons at the age of 16 and after he graduated from high school, there was no doubt whatsoever, which direction Davide wanted to take in his professional life. His father, who had supported his passion for music since he was a child, suggested he attended the local conservatory – and that is what he did. 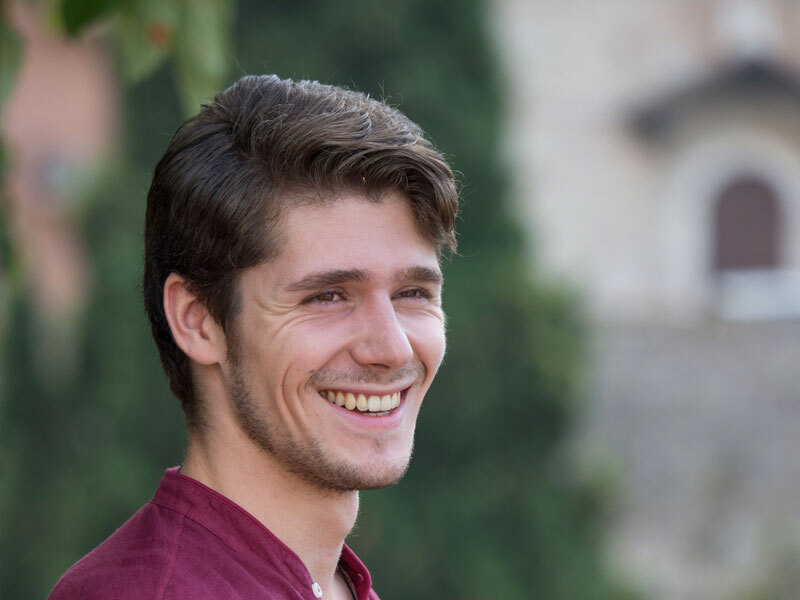 In the course of his studies, Davide had the chance to gain substantial experience. Thanks to D. Cimarosa Conservatory he sang “Boplicity” by Miles Davis (lyrics by Mark Murphy) on national TV on “Rai uno mattina in famiglia”. The year before, he had opened the concert of British singer Antony Strong at the “Fiano Music Festival” and in the same year, he had opened the “Quattoricetto Cetra” concert at the Gesualdo theater. 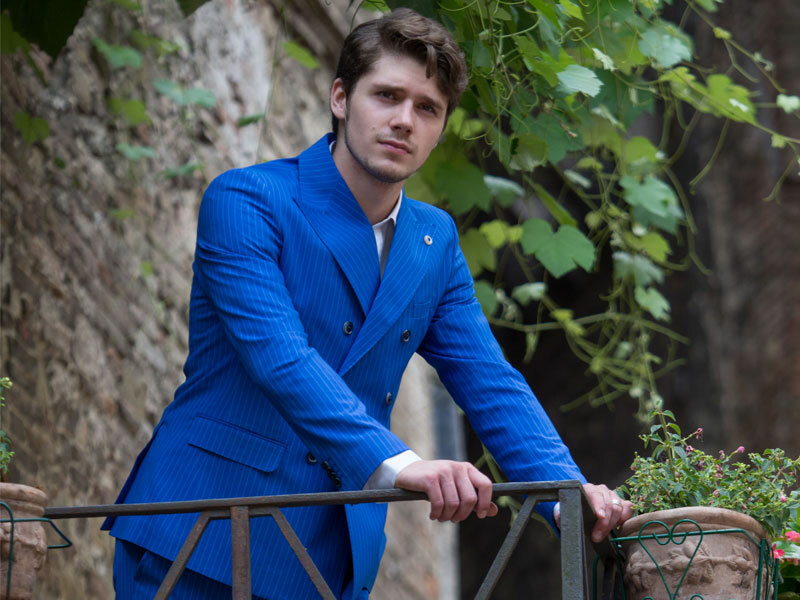 In 2015, Davide graduated with honors and concluded his time at the conservatory with a tribute to Miles Davis’ “Kind of Blue” at the closing concert. After his graduation, he decided to move to Berlin where he had various gigs with jazz musicians like Eric Vaughn, Ernst Bier, Anna Margolina, Kelvin Sholar, and others. In January 2017, he left Germany to tour South America as a pianist and vocalist on a SilverSea Ship. Back to Italy, Davide decided to participate at the “Berklee Clinics at Umbria Jazz”, a very rewarding experience where he met some of the best music teachers of the renowned American school. 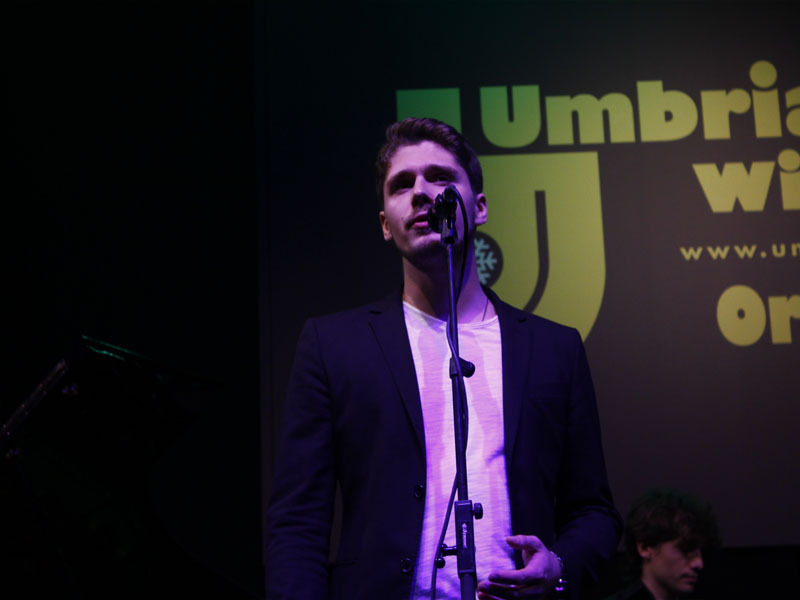 At the end of the two weeks, Giovanni Tommaso picked him to create the “Berklee/Umbria Jazz Award Group” along with six other musicians. At the Umbria Jazz Winter 2017 the group, although still fairly new, was a great success. On the day of the award ceremony, Davide performed the song “It could happen to you” written by Jimmy Van Heusen and Johnny Burke (with Doug Johnson, piano). In September 2017, Davide moved back to Rome and started a collaboration with “The RoomStudios Gallery” where he has been the resident pianist and artistic director, organizing live concerts with some of the best musicians of the Roman Jazz Scene every week. Furthermore, he also organized also a duet concert with Dutch singer Ilse Huizinga. At the same time, Davide has been resident pianist and singer in the Grand Hotel Duca d’Este and at the Cinema Avorio at the after film show. On December 28, 2017, Davide sang with the “Berklee/Umbria Jazz Award Group” (Lorenzo Bisogno (Tenor Saxophone), Giovanni Tamburini (Trumpet), Matteo Mancuso (Guitar), Cesare Panizzi (Piano), Matteo Balcone (E. Bass) and Michele Tedesco (Drums)) at the Umbria Jazz Winter. Currently, Davide is working on his first album, planning to go back to Berlin to study at the JIB.